Giving birth is always going to be a dramatic moment, but in this instance it was extra dramatic. Diamond Jones was being driven to hospital by her boyfriend Corey Lynn Griffith after her waters broke. But they didn't quite make it to the hospital before their baby decided to put in an appearance. 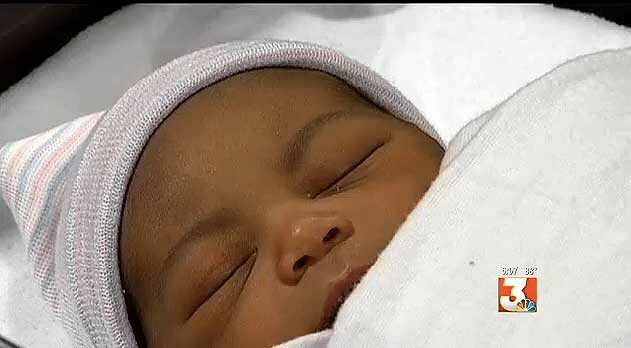 While they were racing along the freeway in Jackson, Mississippi to the Baptist Women's Clinic at 5AM in the early hours of September 8, baby's head popped out. "I thought it was a false alarm," said the father, "But then I reached over sure enough it was." Dad recorded the baby's first moments on his iPhone, as it takes gasps of oxygen. Griffith says he had planned to record the moment of his daughter's birth, but not like this—once the head was out all it took was one last push from the mom and little Corri Lynn, named after the father, was thrown into existence. The first thing Jones did was check the baby the umbilical cord hadn't caused any problems: "I just wanted to make sure it wasn't tangled or wrapped around her and once I saw that and I was sitting her up, I figured we would be OK. We'll make it to the hospital and let them cut the cord. But that's the first thing we checked for was that she was not tangled." 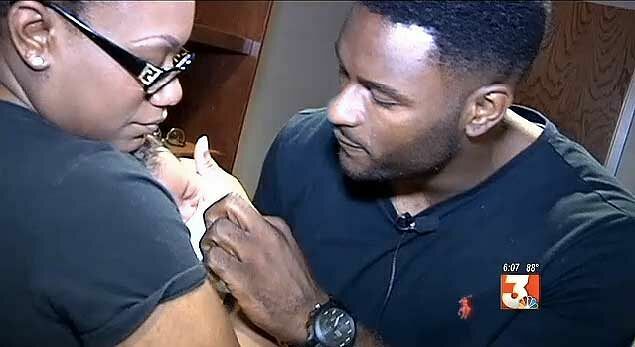 The touching video shows Griffith coaching his newborn child, telling her and the mother everything's going to be fine. "Rub her baby. Let her know you love her." he says. Although it was a dramatic entrance from Corri Lynn,Griffith says he wouldn't change a thing. "This experience has been amazing. I mean, I think it's the best memory that we have." he told WLBT.